However, the district court found venue to be proper. The crux of the conclusion was based upon the fact that Google owns and uses computer servers within the district — “edge nodes” — that Google operate to quickly deliver content to its users within the district. Note here that, although Google owns the servers, it rents the rack space within various ISP server hubs. keep the servers at their locations once they are installed. Rather than ruling on the merits, the appellate panel court denied the writ — holding that mandamus is not warranted in this case. Rather, the majority approach is to wait until the conclusion of the trial and, if Google loses, it can then appeal the improper venue issue. The mandamus denial was issued in a per curiam order by Judges Dyk and Taranto. Judge Reyna wrote in dissent — arguing that “Google’s petition presents fundamental issues concerning the application of § 1400(b) that have far reaching implications and on which district courts have disagreed.” Google persisted and filed a petition for en banc rehearing of its mandamus petition. That request has now also been denied, with the inclusion of another Judge Reyna dissent — this time precedential and joined by Judges Newman and Lourie. The question poised before the court is whether Google’s servers … which have no physical interaction with Google employees or customers and are installed by third-parties in the facilities of third-party [ISPs] located in the Eastern District of Texas, constitute a regular and established place of business under 35 U.S.C. 1400(b) and this court’s decision in Cray. [E]xclusive ownership and control over the servers may be insufficient under Cray. See Cray, 871 F.3d at 1363 (“Relevant considerations include whether the defendant owns or leases the place, or exercises other attributes of possession or control over the place.” (emphases added)). 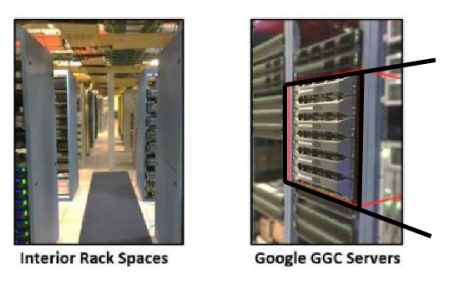 It is undisputed that no Google employee has ever visited the places where the servers are installed. Nor do those facilities resemble one of the many Google offices in other venues that would satisfy § 1400(b) under a straightforward application of the statute. See id. at 1364 (“A further consideration for this requirement might be the nature and activity of the alleged place of business of the defendant in the district in comparison with that of other places of business of the defendant in other venues.”). … For many [internet focused] companies, the reasoning of the district court’s holding could essentially reestablish nationwide venue, in conflict with TC Heartland, by standing for the proposition that owning and controlling computer hardware involved in some aspect of company business (e.g., transmitting data) alone is sufficient. Here, Judge Reyna is not deciding the question, but suggesting that the answer is likely that venue is improper. Back on the ground – the case has been proceeding throughout the entire mandamus process. Trial was set for January 2018. However, just before trial the parties asked for a stay of the case based upon an “agreement in principle” to settle the case. A full settlement is now likely within a few days. I’ve often thought of this line of reasoning as a major accomplishment in the realm of making good use of public and judicial resources. Nothing about that vital supervisory role is especially compromised by waiting until final judgment, instead of taking it as an interlocutory appeal via the write of mandamus. Besides, if the parties really are about to settle, they are not the right parties to prosecute this appeal anyway. You want briefing from two genuinely adverse parties with real skin in the game—not from a couple of litigants who really do not want to be bothered to think about the subject any more. Er, “… writ of mandamus.” $+*?|& autocorrect. It’s as if the mere possibility of ‘patents being asserted’ somehow must be a bad thing – regardless of a company’s choice as to how it has established a regular business model that places itself nationwide TO do business. One must reach out and purposefully ignore the first principles and choose to ignore the actual choice of a business model in stretching to keep a business from certain venues. It’s as if the choice to be ubiquitously present in order to do business is unassailable and somehow needs to be divorced from any consequence of that business choice. Cray (especially) is a horribly tortured opinion. If a company chooses to engage customers through an established nation-wide mechanism, why in the world should such a choice NOT merit nation-wide venue? Is this the J. Reyna that is new to patent law and still has no idea about that science stuff, but somehow was appointed to the patent and science court in the USA? Please resign J. Reyna. You are a disgrace. You make it very hard to take you seriously when you write stuff like this. Really? I would think it is the opposite. You see I find it very hard to take people seriously that put any value into the opinions of the judges on the CAFC that were selected by Google. Pretending or not recognizing that the CAFC wasn’t stacked with anti-patent judges makes it hard for me to take you seriously. The fact is that I analyzed many anti-patent judicial activist opinions from the CAFC, which are typically from one of the Google selected judges. Trying to pretend that a judge appointed to the CAFC that had no prior patent experience and no experience with science is qualified makes it hard to take you seriously. Some of us have respect for ourselves and the fact that we know it takes many years to understand patent law and many years to understand science. The fact is that Obama is a disgrace and the anti-patent judicial activist judges he appointed are a disgrace. And, again, I have offered many times factual evidence of this. And have gone through opinions that are naked attempts to weaken patents. And opinions that illustrate such an ignorance of science that the judges should resign immediately. Again–reality–the best solution is to dissolve the CAFC. There is no doubt that the jurisprudence created by this group of hacks will be overturned in the coming generations and that judges like Taranto will be seen as Obama appointments selected by Google to burn the patent system down. I think there is plenty of evidence that the FBI should look into how these appointments were made in terms of money coming to Obama and in terms of what promises the “judges” made prior to appointment. And one can tell that there is something very wrong with the CAFC because of how other judges treat the judges on the CAFC. They get no respect and scorned. It is clear that they were selected by large corporations to burn the patent system down and that most are not qualified to sit on a circuit court. What he means is that he does not like what you have to say particularly in regards to a topic he would rather not engage in. It “sullies” his hands (metaphysically) to have to apply critical thinking to the institution of the judicial body (much like how a certain group of regular commentators here insist that the Emperor’s clothes are the most resplendent clothes ever worn (because… ‘Supreme’), and they would rather hush a child who blurts out “The dude is na ked” then have to deal with the notion that there be issues with the institution itself. One thing I would worry about regarding policy is counting a server farm as a place of business may mean that corporations make business decisions based on the federal district. A server farm can really be anywhere. I would not want to count the server farm as residing in a place, but rather being part of the internet. I think this is very different than an ATM as that provides access from a physical location to the business whereas a server farm provides access to the business via the Internet and the server farm could be anywhere. The ATM can’t be anywhere. Night – Not really true that a server farm can be anywhere. Google puts its servers in E.D.Tex region to serve customers in that region. Basically, internet works more smoothly if servers are closer to the users (especially for streaming). OK, Dennis there is some truth to what you are saying. But the placement of the servers in near proximity is not necessary. The added delay times even for streaming are not detectable for a server being placed another 500 miles away. However, it may be the closer servers have better access to the Internet when they placed nearer. But this has to do with the topology of the Internet and not delay times from 1/2 the speed of light (copper) or the speed of light (fiber). So–I think my original statement is still correct with the caveat that the topology of the Internet may require that servers are placed closer to where they are accessed. So there may be some tenuous geographic relationship, but it would be based on the topology of the Internet and not the geography of the country. The caveat appears to swallow the rule you want. Here though, the Prof.’s comments indicate that even my musings at 5.3 may not have been sweeping enough. When compared to “for doing,” the word “of” takes on a larger meaning, and may well include the conduits that a business chooses to engage in in order to engage in business. In that sense, server farms carry no exception, as the principle at heart is that a business in making any decisions pertaining to “place” for any of its mechanisms IS a choice of the business for the place of its business components. This then would distinguish between those places chosen to engage customers, and those places chosen to have mechanisms that allow some other place to be the place of customer engagement. Regardless of this distinction, as I have noted, this distinction is at best a Pyrrhic victory, as the choice of business to engage customers through the Internet is a far more reaching choice then where the servers are located (based on first principles). … following my line of reasoning, the next words to be critically reviewed would be “regular and established” with the possible ‘out’ of a business choice to engage customers through the Internet does not qualify under these secondary terms. Congress should repeal section 1400 of Title 28. It makes no sense for patent infringement to be treated differently than other causes. Unless Congress were to set up regional patent courts modeled after EDTX, that would make sense. Forcing litigants to courts that are not interested or capable of adjudicating patent disputes was the worst of all possible options. Where rich white “bigtime” lawyers cry on the stand like little girls because they got busted playing pattycake with the clerks. Keep the laughs coming, Josh! Too flippin funny. That was pretty funny, shame ol Ned isn’t here to share a lol. Wonder how JD and NAL Broje and the crew are lately? Doing great. Thanks for asking. Looking for my next opportunity. If you hear from anybody needing the best patent prosecutor in the world, tell them about me. Good to hear it bruh. How do you think the ol’ (mis)management has been doing lately? Upping their game at all? Also I wanted to ask you, how much of the old school (mis)management that you always liked to talk about was actually “workplace bullying”, if not “institutionalized workplace bullying”, if you’re familiar with the term? And so modest as well! You and AAA JJ should join forces and start your own firm. Call it “a modest patent by Darling and x”. I watch the PPAC meeting each quarter and chuckle at the parade of mismanagers breaking their arms patting themselves on the back for the record breaking outstanding quality they are doing. Doesn’t match up with what I’m seeing. I need to review these examiner PAP changes to see how they’re going to change the “incentives” but I suspect that in the end it’s going to be the same old, same old. We’ll see. Modesty is overrated. Trust me. I hear ya man. Anyhow, thanks for chiming in, have a good one. And if Google rented the servers? And if Google rented just the workload? CAFC totally in space on this one. If it ever makes it to the Supreme Court it will be a slam dunk reversal. A place of business where no person- customer or employee- has ever set foot is not a place of business, any more than a vending machine is a store or an ATM is a bank. I disagree. The SCotUS is not going to say that the CAFC must exercise mandamus jurisdiction on this one. As Prof. Hricik notes below, the SCotUS really likes the final judgment rule. I could easily imagine SCotUS reversing if the CAFC had taken this case on mandamus, simply to emphasize that this is the sort of issue that can be handled after final judgment. I am hard pressed to imagine the SCotUS taking this case to tell the CAFC that they were obliged to take an interlocutory appeal on this one. In other words, right now this case (and today’s decision) is not really about whether Google’s servers amount to a “place of business.” When and if we get a final judgment in this case, that question will have its place (of course, as Prof. Crouch intimates, we are not likely to get a final judgment because settlement seems imminent). Today’s decision is really about what should and should not be decided on an interlocutory appeal under the CAFC’s mandamus jurisdiction. As a mandamus case, this is not even a close question. The CAFC made the right call here. Greg I meant on the merits in a different case, not on the mandamus question, which is another ball of wax. Actually though, despite the final judgement rule, isn’t a serious venue question based on a facially questionable reading of a statute the type of issue where an interlocutory appeal might be in the interest of justice, since to try a case all the way to final judgement in the wrong court is not judicially efficient? No, or at least not in the SCotUS’ view of things. As far as the SCotUS is concerned, interlocutory appeals are for two purposes only: (1) where the statute explicitly makes allowance for interlocutory appeal; and (2) qualified immunity claims. In theory interlocutory appeals are also for mandamus course corrections of egregiously inappropriate district court judge behavior, but you have to look long and hard to find instances that the SCotUS considers egregious enough to qualify for this. Yes and no. It is always the case that if a district court judge makes a mistake early on, it would be more efficient if the district judge learns of his/her mistake early, before final judgement. However, if you started allowing interlocutory appeals to correct such early-in-procedure errors, pretty soon you will have a lot of interlocutory appeals, most of which will merely end up affirming the contested judgment. This proliferation of interlocutory appeals will, on net, end up making the average judicial process even less efficient. Therefore—on average—judicial efficiency is maximized by making interlocutory appeals rare and difficult. In any given case, the interlocutory appeal might be more efficient than appeal after the final judgment, but in the main the final judgment rule is the better rule. IANAL….but as I read Reyna’s dissent…the main point I took from it was that his (and the others) purpose was to provide the necessary and TIMELY guidance to the lower courts which is currently lacking (as he included multiple cases where different Circuit courts have inconsistently ruled) and which is leading to a proliferation of cases where the federal courts have to go all the way through discovery, trial, judgement and appeal before the CAFC can tell them that the actual rule on jurisdiction. As you and Crouch indicate….this case is likely to be settled…so the CAFC will NOT be able to provide its necessary guidance during the appeal. My feel is that Reyna and others are trying to head off various trains (cases) going off a cliff….wasting YEARS of judicial effort only to be reversed on jurisdictional issues on appeal…..forcing the process to RESTART in a different court. People may believe this isn’t a valid reason for interlocutary appeal…but TO THE COURT and the PARTIES….the TIMELY resolution of the issue IS in the interest of justice. Sure Greg, there are early issues, and then there is the earliest issue, which is “is this the right room under the law” ? Venue seems a almost meta issue in that sense- a statutory venue challenge far more than say, a disputed forum selection clause, which is really a contract dispute. In a blank-slate world of common sense and logic, I can see the sense of your thinking here, Martin. In the world of common-law precedent, however, your question has been asked and answered in the negative. Bankers Life & Casualty Co. v. Holland, 346 U.S. 379, 383 (1953) (“It is urged… that the use of the writ of mandamus is appropriate here to prevent ‘judicial inconvenience and hardship’ occasioned by appeal being delayed until after final judgment. But it is established that the extraordinary writs cannot be used as substitutes for appeals, Ex parte Fahey, 332 U. S. 258, 259-260 (1947), even though hardship may result from delay and perhaps unnecessary trial,”). Er, fine, but then what did you mean when you said that the “CAFC [is] totally in space on this one”? The CAFC did not say that Google’s servers are a customary place of business. The CAFC did not actually decide that point. The only thing that the CAFC has ever decided in this case is that they are not taking it as an interlocutory appeal—a point on which I feel robustly confident the SCotUS would back them up. The SCotUS hates interlocutory appeals, and works mightily to minimize their occurrence. But Martin — the question to be asked vis a vis your analogy is whether or not vending machines and ATMs are places of business; not whether or not they are, respectively, a store or a bank. Meaning that, in the age of eCommerce, servers — at least in the case where a company like Google exercises this level of control — are indeed places of business. Servers do what people used to do. That said; for the reasons the dissent give; I do agree that the CAFC should have tackled this question now. Pro Say – close, but see below as to the driver being the place at which a business transaction is consummated. Your examples do not do your lead-in any justice as a vending machine IS a “store” and an atm IS a “bank” as those entities being a “place of business” are known. Full service? Most probably not, but a place of businesss need not be a place for full service business, and the notion that a “person” of the business somehow need be present is NOT a requirement for a PLACE of business to be, well, a place of business. If I could put words in your mouth, what I think that you were trying for was (maybe) a place of business is not the various places through which business may be parts of the conduit of business, but rather, the “place of business” is considered to be the place at which a business transaction is consummated. Consummation does not occur AT the point (place) of the conduits. However, this does NOT help those seeking to avoid certain jurisdictions, as the business model places that place of consummation at any computer terminal anywhere. What we see here is an attempt to deny the fact that the choice of business model carries with it a detriment to the business, and one that is being fought against being recognized as such (outside of the reality of the situation). Back in the day when “place of business” was coined as a term, there was NO business model that had the consummation in a personal residence. Now, that overlap is often ubiquitous. …to be clear, an individual and one-off personal residence may not satisfy a traditional notion of “regular and established” — but the fact that the business has chosen (established) a regular capability OF residential consummation only means that the “traditional” notion needs to be updated. The cardinal rule of statutory interpretation is to ascertain and effectuate legislative intent. That intent could only have been the so-called “tradtional” notion of “regular and established”. Mailing a package to a retailer was an old ‘e-commerce” business model and clearly did not create a “regular and established” place of business, even if the packages arrived every Thursday on rotating pallets. There is no possible way the mere presence of servers- rented, owned, leased, or gerbil-powered will be found to establish a “regular and established” place of business for venue purposes when this finally gets to the Supreme Court, which it clearly will, after untold wasted million$, as usual. Let’s apply a little critical thinking as to why, applying some “first principle” logic. The intent is not based on then existing business models (absent from the actual language), but is instead based on the principle that the business chooses to operate in a certain area. The key is the choice from which the area is a natural outflow OF that choice. I will grant that you offer a cogent point with the mailing of the package [“from” a retailer, not “to”]. Perhaps the application of the law should have changed at that point, as clearly, the model of “personal delivery” is very much an optional choice (establishes) by a business, and certainly creates a “regular” expectation in the marketplace. Can it be argued that the delivery was not to be considered a consummation of the transaction, as much as it may have been a post-transaction event? But to use an adage: two wrongs do not make a right. As to “mere presence of servers- rented, owned, leased, or gerbil-powered will be found to establish a “regular and established” place of business for venue purposes” — please note that my post resolves slightly differently than your immediate position (and that I provide that an allowance in the logic of first principles may yet exclude the places of the conduits. Mind you, this may be merely a pyrrhic victory, as the business choice to reach into ANY personal residence is far more ubiquitous. That all makes even less sense, since transactions for goods, services, or financial assets may settled far from the performance of the service or delivery of the goods. By that standard, many firms would only have regular and established places of business in New York or London, the physical locations of the settlements. Lets say Sears rented a box at Western Union Denver back in the day to hold telegraphed orders, whereupon a Western Union employee would transmit those orders back to Chicago by mail or a second telegraph message for Chicago to then fulfill. There is your e-commerce. Does Sears have a regular and established place of business within that Western Union office? Of course not. You’ve taken that in the WRONG direction. Is Reyna a Google-funded judge? He was appointed by Obama. Remember what I told you Gary about breathing through your mouth. Not a good look for you. Reyna was likely selected by Google. Reyna is infamous for saying in his confirmation hearing that he admitted knowing nothing about science or patent law. And yet this was Obama’s selection. Thanks Obama for stacking the CAFC. It bears repeating that Obama (twice) ran on a platform of “open government” and yet set a modern day record for denied Freedom of Information Act requests, and the executive agency of the patent office entertained MORE visits (and more undocumented closed-door meetings with) from anti-patent Big Data (and other Efficient Infringer believers) than under ANY previous administration. Add to that the facts concerning the level of “voice” exercised by the same entities (contributions and political advocacy), the naysayers against political capture appear woefully (purposely) blind. More than just a little bit of cynicism is objectively justified. Did you mean rents the rack space? Breaking new ground in dissents. The dissenters are wrong. Mandamus isn’t available for this, just as it isn’t available when a court denies a motion to compel arbitration. Final Judgment Rule rules.